Switzerland will hold a vote on whether to introduce a basic income for all adults, in a further sign of growing public activism over pay inequality since the financial crisis. A grassroots committee is calling for all adults in Switzerland to receive an unconditional income of 2,500 Swiss francs — about $2,800 — per month from the state, with the aim of providing a financial safety net for the population. 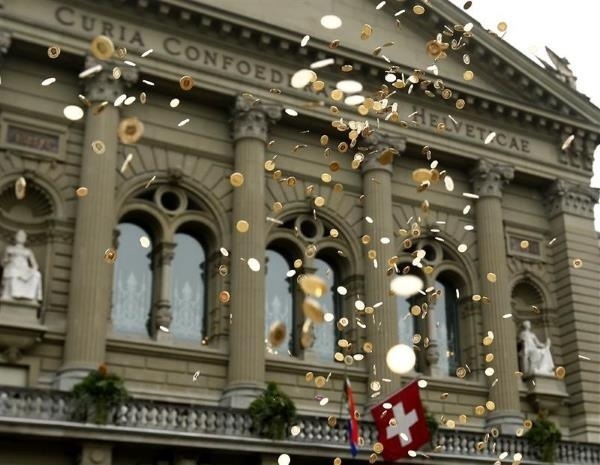 Organizers submitted more than the 100,000 signatures needed to call a referendum on Friday and tipped a truckload of 8 million five-cent coins outside the parliament building in Bern, one for each person living in Switzerland. Under Swiss law, citizens can organize popular initiatives that allow the channeling of public anger into direct political action. The country usually holds several referenda a year.